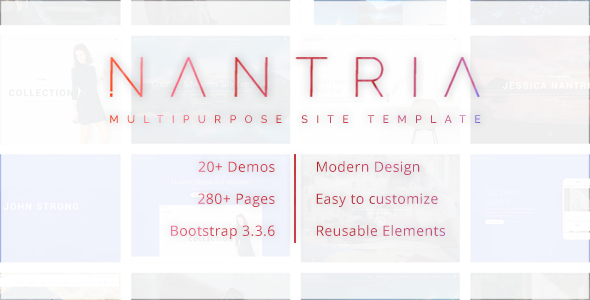 Nantria is a fully-featured multi-purpose, responsive, Bootstrap based HTML 5 template that looks effortlessly on-point in business, education, agency, portfolio or resume template applications. Well organized and comment codes so it’s very easy to customize and use in your project according to your needs. Images from http://unsplash.com, http://fotolia.com, http://creativemarket.com, http://pixden.com, http://http://photodune.net. Videos from demo site are not included.